TORONTO, ON – To help promote the new Amsterdam BrewHouse location that will be opening this summer on Toronto’s Harbourfront, Amsterdam Brewery will be holding a Reddit-style AMA (“Ask Me Anything”) session next week, with questions to be accepted and answered via social media. 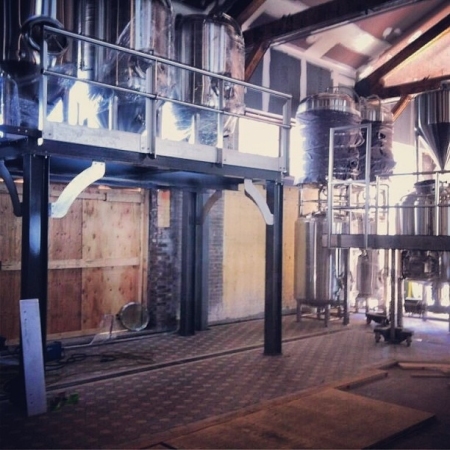 On Tuesday May 13th from 11:00 AM to 3:00 PM, Amsterdam’s Blake van Delft will be on site at the under construction BrewHouse, and will answer any questions about the new location that are submitted to @amsterdambeer on Twitter and the Amsterdam Facebook page. Answers will be posted publicly and visible to all visitors on both sites.